The festive season is upon us and hopefully you have a break to look forward to. 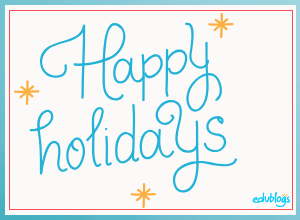 The holidays can be a great time to not only put your feet up and recharge, but learn something new as well! 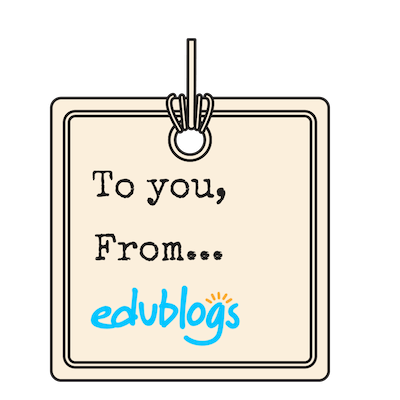 As a gift to all teachers, we’d like to offer a free Edublogs Pro subscription to all participants of our self-paced courses. This offer is for first-time users who don’t already use Edublogs Pro and is available until January 31, 2019. Our free self-paced courses have been popular for many years. A few months back, we gave them all an update! These courses all come with PDF workbooks to help keep you on track. You’ll also receive a certificate and badge for completing one of the courses. Someone will upgrade your blog for you within 24 hours (if you email in the last week of December, it may take a little longer). Send our team another email to let them know you’ve completed all the tasks for your course. We’ll then extend your Edublogs Pro subscription for 12 months. Everyone who completes a Teacher Challenge course also has access to a certificate and badge. Edublogs was established by teachers, for teachers and we’ve always been committed to supporting our community. We know our courses have helped thousands of people get started with blogging and edtech over the years. We hope a free Pro blog will help make your blogging journey a little easier too! Finally, we’d like to offer all our readers a very safe and happy holiday period. The Edublogger will be back in January. If you’re not already on our email list to get notified of new posts, sign up! I am look forward to starting my first course, ‘Building Your PLN’. It is about time I started to develop an online professional network. Great to hear, Susan! Hope you enjoy it. I recently had a language arts teacher ask about blogging. Today I signed up for my first Edublog and sent information on Edublog to my language arts teacher. I am hoping that we will still get 30 days (near end of February) to complete the course to get the 12 month pro version. I told her I thought moving forward, Edublog maybe the best tool to get her 8th graders blogging. We both need to try it first and get her students in. That’s great to hear you’re jumping on board with blogging and supporting your language arts teacher. Feel free to email the team [email protected] and we’ll be able to work something out so you have enough time to complete the course. Have fun getting started! Hello madam Kathleen I am new here and have not been able to register for the course to get the 12 months upgrade. What should I do? Feel free to email the team at [email protected] and with your blog URL and they’ll be able to organise the upgrade for you 🙂 You don’t need to register for the course. Start whenever you like. You get one month free for starting and 12 month free when you finish. I can’t find anywhere to sign up for the course. Is there a formal sign-up process or do I just start working through it? Thanks. Hello! Thank you for providing this opportunity. Does the course have to be completed by January 31 in order to earn the 12-month subscription? January is shaping up to be an extra-busy month, and I’m hesitant to start now if I might not finish the entire course in 4 weeks. Hello! I’m new to this and a little confused. I started this process in the summer and just now logged back on. I’ve updated my blog site and am interested in the January promotional. Where do I access the courses? Here’s the link to my blog. You can click on the one you like and start reading the information and working through the steps. It looks like your blog is about personal blogging so that course might suit you best. Once you start a course, email [email protected] and someone from the team will upgrade your blog for you. If you need more clarification, the support team can help via email too! Hi there! It says that this is being offered to teachers. Is this promo being extended to students as well? I run a blog for my school’s Write Club, and though I’ve already learned about blogging through trial and error, some of the stuff on the Blogging With Students list seems beneficial. It would be even better if this promo also extended to students so I could consider implementing some of the Pro account benefits on the club blog. That’s awesome that you run a blog for your school’s Write Club. Students are welcome to take advantage of this offer too. Is your Write Club blog public? If so, I’d love to see the blog. I’m always interested in different approaches to blogging. Feel free to email the team at [email protected] to organise the upgrade. That’s amazing! I’ll have to confer with the rest of the club to see if they want to make the upgrade. Unfortunately, our blog is private. We have some private information like emails and identities on there, so I thought it would be best to set it up as a private blog. Although, I can share some tidbits from it. We have a section for information about meetings in case we’re going to meet in a different room or if a meeting will be canceled. There is also a designated News tab so it doesn’t get jumbled up in the posts on the feed and lost forever. Most importantly, we have a page where everyone can go to in order to read each other’s work. I assign everyone their own category when they get an account, so their writing pieces are organized. Then, I add a link to their category on that page. It was a dropdown box on the menu, but we got to so many members that we had to scroll down to see the entire list. We also have a category for posts about wanting to do writing collaborations and a separate section with writing prompts. No pressure at all whether they want to take the course. I totally understand why your blog is private and I really appreciate you sharing some info. I always find it so interesting. I love the way you’re using categories to organise the blog. How great you’ve had so much interest! Thank you so much! I’ll keep my eyes peeled. 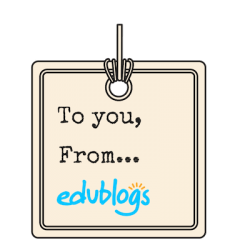 Thanks, Edublogs! A happy Christmas to all of you too! When does this offer expire? You said January 2019. Does that mean January 1 or January 31? I’m asking because I’m on holiday and without a computer. It’s rather hard to blog meaningfully on a phone. At least I find it so. So relax and put your feet up as you have over a month!